Specific Gravity & Absorption of Coarse Aggregate Set - Gilson Co. 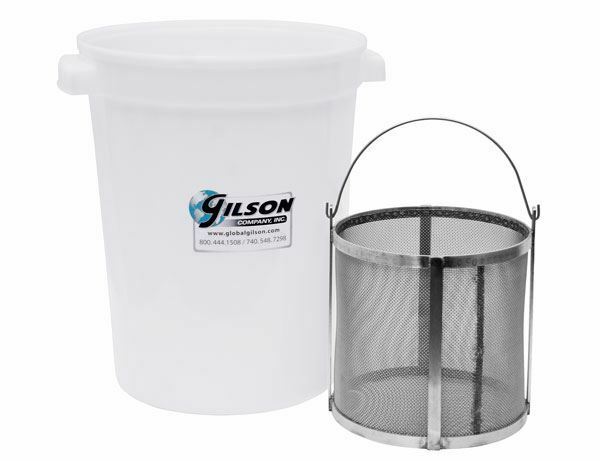 The SG-6 Specific Gravity & Absorption of Coarse Aggregate Set includes the SG-7A Wire Basket with handle and the SG-8 polyethylene 24qt Water Container for weighing coarse aggregate samples while suspended in water. Basket is No. 8 stainless steel mesh, 8x8in (203x203mm), Dia.xH. Inquire for baskets with No. 4, No. 6, No. 12 or No. 16 mesh sizes.